Our unique characteristic spirit derives from the vision and spirituality of Mary Ward who founded the Loreto Order over 400 years ago. She wished to pioneer a new role for women in the church and society. At a time when the education of girls was not considered important, Mary Ward set about founding schools for girls. She saw this as the most important means of realising her vision that: ‘women, in time to come, will do much’. Since then, and through centuries of committed service by countless Loreto Sisters, the order has specialised in the provision of education and is renowned worldwide for innovation in their field of expertise. 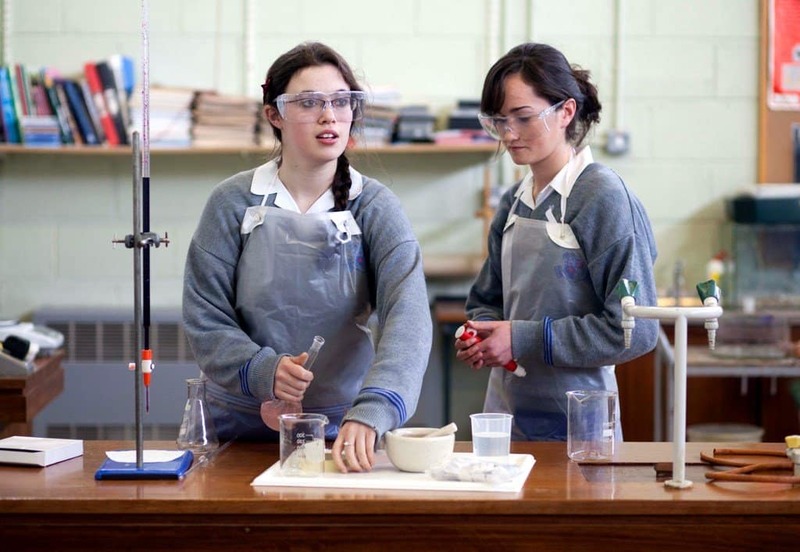 Our students can avail of many opportunities to connect with other Loreto students across the county by attending Loreto Sports competitions, debates, Student Council and Development Education conferences. The Loreto identity is strong and as we say ‘once a Loreto girl, always a Loreto girl’! As a Catholic school founded in faith, we see the spiritual development of our students as being an essential component of our mission. Gospel values underpin all areas of school life and provide a moral context for all learning. 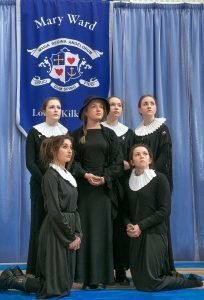 The story of the founding of the Loreto convent and school in Kilkenny is an interesting one with many aspects not widely known. 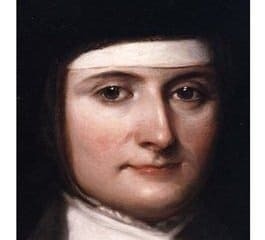 To tell this story it is necessary to start at the beginning with the founding of the Institute of the Blessed Virgin Mary (formal name of the Loreto Order), by an English woman, Mary Ward, in 1609. 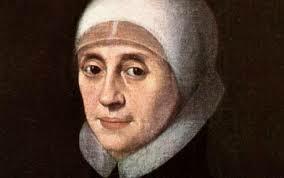 She pioneered a new model of self-governance by female religious and, inspired by St. Ignatius, she wished for the freedom of her order to work outside the walls of the convent with the poor and to open schools for girls. Her order met with early success and spread through Europe but unfortunately her radical approach did not meet with universal favour and her life’s work ended with the apparent failure of the closure of her houses and the suppression of her order. Mary Ward ended her days in the Bar Convent in York with a small group of followers. Nearly two centuries later, a young Dublin girl, Frances Teresa Ball, was sent to York to receive her education. She would later enter the novitiate of the I.B.V.M. and in 1821 she returned to Dublin to found the Irish branch of the Order which would be known as ‘Loreto’; named after the Italian town which holds the relic of the house of the Holy Family. The Irish branch of the I.B.V.M. was destined to thrive and over the next century established schools across the globe. Frances Teresa Ball had a strong desire to found a school in Ossory and particularly in the seat of the diocese. The annals record that in 1858, she attempted to buy a house in Kilkenny, but with no success. They then founded a school and convent in Borris-in-Ossory having been invited by the local parish priest of the time, Father John Birch. 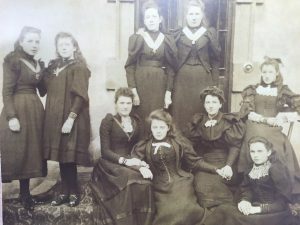 Mother Teresa Ball did not give up her dream of founding a school in Kilkenny however and in 1860 the Loreto sisters had moved into a house in 30 Patrick’s Street. We are told the ground floor was occupied by a Solicitor’s office. The schools were opened in October and were well attended, notwithstanding this, however, the nuns only remained a few months here, ‘the neighbours being too noisy and unsuitable and the premises were finally given up in March, 1861’. No doubt things are very different in Patrick’s Street now! It is recorded that Rev. Mother Scholastica Somers, Frances Teresa Ball’s successor, had ‘then [in 1868] decided that a wider field of labour was more in accordance with the spirit of the Order and the aims of its foundress.’ Accordingly, Rev. Mother Ball’s original idea of establishing a convent in Kilkenny city was revived, and ‘recognised as a more progressive plan’. Therefore the Loreto Sisters withdrew from Borris, and set up their new home in Kilkenny City. In 1868, Rev. Mother Scholastica Somers had purchased a house in Kilkenny that had previously been the town residence of Lord Clifden. This building, between St. Canice’s Cathedral and the current site of the school, is now the home of the Good Shepherd Centre. Even though it is not well-known locally, this building had previously been used by St. Kieran’s College in its early years, providing an interesting shared history between the two famous schools. The annals record that the nuns first arrived on the 9th of September, bringing with them two students from Borris-in-Ossory which was being closed at that time. The first Mass in the Convent was celebrated on the 13th by a Rev. T. Kelly, later Dean of the Diocese. M.M. Patricia Hughes was the first Mother Superior, having also transferred from Borris-in-Ossory. The school opened its doors to students on the 5th of October 1868. According to an advertisement placed in the Kilkenny Journal at the time, the curriculum on offer was: English, German, Italian, French, Plain and Fancy Work, Arithmetic. The extra curricular activities were: Music (vocal and instrumental), Dancing, Flower Arranging, Drawing and Painting. The school, boarding and day, thrived on that site, with many expansions and alterations over the years. In the 1970s the decision was made to build a new school on the Granges Road. This new school was opened in 1980 and the boarding school was closed in 1984. Since the school’s arrival at the Granges road, many changes have also taken place with dramatic enhancements to the facilities over the years. In the early days, dressing rooms for P.E. and games were added on at a time when the Gym was in the current canteen area. These dressing rooms have since been converted into offices and subsequently Learning Support rooms. In the mid 1980s, the famous, and now demolished, old ‘Mary Ward’ prefabricated classrooms were added, while in 1996 a new wing of classrooms, including a Science laboratory (now room 302) and a Music room, were constructed. In the mid 2000s our current Gymnasium and all-weather Hockey pitch were completed, greatly enhancing our sporting facilities. In the Summer of 2011, construction began on a major extension and refurbishment programme which opened up the school to the Granges Road, providing another dramatic enhancement of our facilities while creating a new identity for the school. Due to complications created by the need to appoint a new contractor, the project was delayed and was not completed until the Autumn of 2013. This new ‘Mary Ward Building’ was officially opened by Sr Noelle Coscadden and blessed by Bishop Seamus Freeman in May of 2014. In 2018 our Special Needs Unit, Ionad Saoirse, was opened along with a new multi-purpose space, the Hughes Hall.